Q. Why Build from a kit? A. 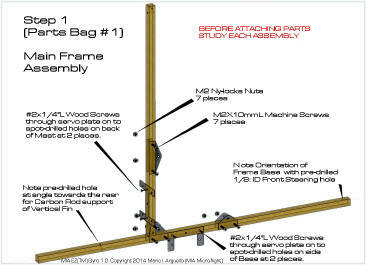 Building from kits allows the modeler or user to have full control of the product assembly. MIA has tried to minimize assembly complexity by making many of our composite structured kits "tongue and groove" with snap in parts that only require "test-fitting" and a bit of CA glue. In many cases, you only need to snap parts together and in some of our kits we incorporate miniature hardware to make assembly even easier. 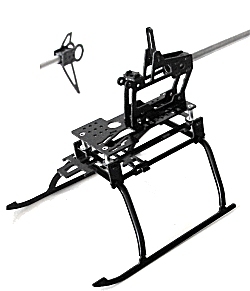 Bear in mind, though, that we are very careful about the use of metal hardware on the very small kits such as the micro and palm size helicopters upgrades (only as needed) because this can also add unnecessary weight to some products. 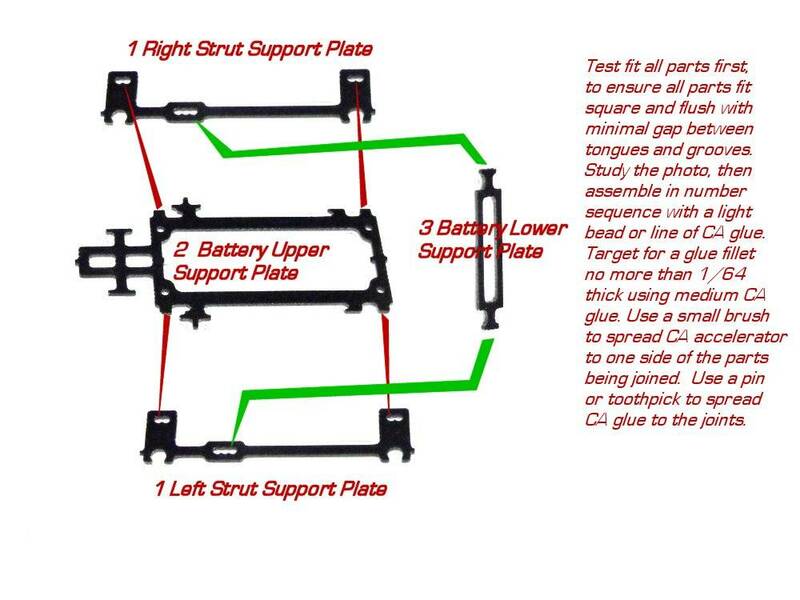 However, bolt assemblies on our larger model kits is our preferred way to provide for a kit that is versatile and easy to assemble and repair. Building from kits provides a great deal of satisfaction that you are putting it together. 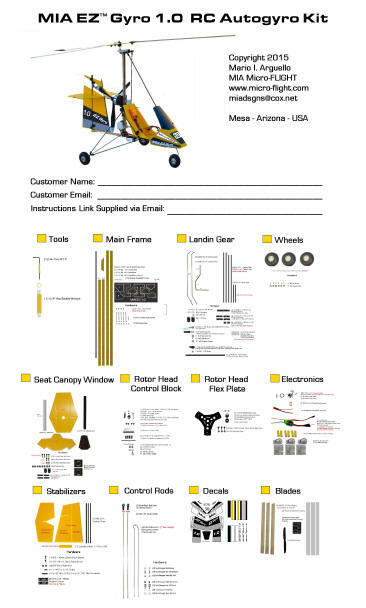 There is also quite a great deal of information that can be learned from Kit Assembly. 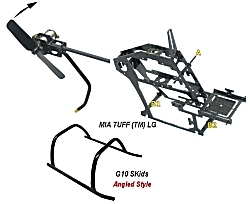 Many times, you can customize the assembly to your needs and requirements, or even fix it yourself, in the unfortunate event of a mishap, such as when you are flying your specific model and crash. 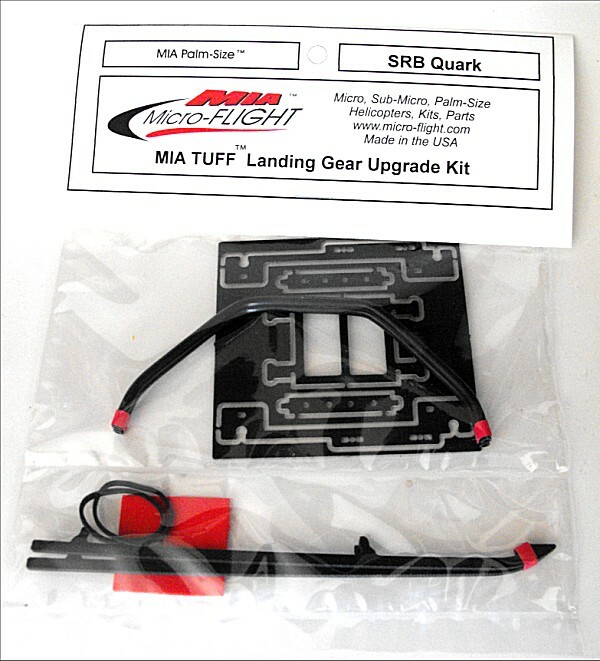 MIA TUFF� Upgrades are very durable and almost indestructible, that we feel very confident, you will not be repairing your model helicopter, multi-copter, airplane or other product, as often as you do with the stock OEM parts of the product..
Q. 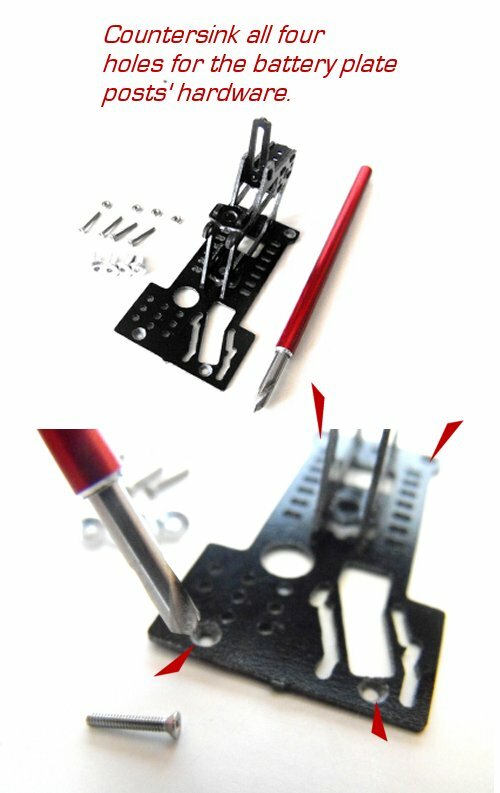 Who are MIA Micro FLIGHT Kits good for ? A. 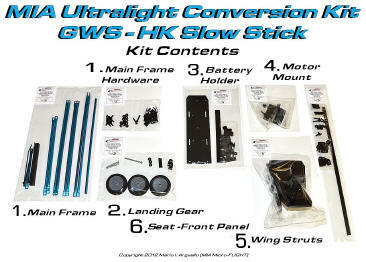 For anyone who truly enjoys building and flying RC Models in general and wants to indulge in the pleasure and learning of building from a kit. 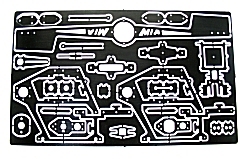 Because MIA kits use small parts and may include plastic, metal and composite materials, the kits are not meant for children, but preferably for mature Radio Control Model enthusiasts, who have some knowledge of assembling models which use similar parts made from similar materials. Q. 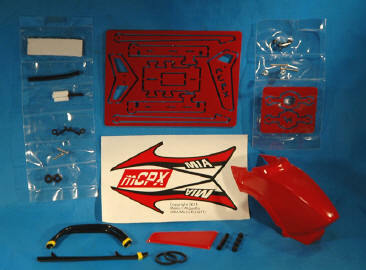 What Materials are MIA Micro-FLIGHT Kits made from ? 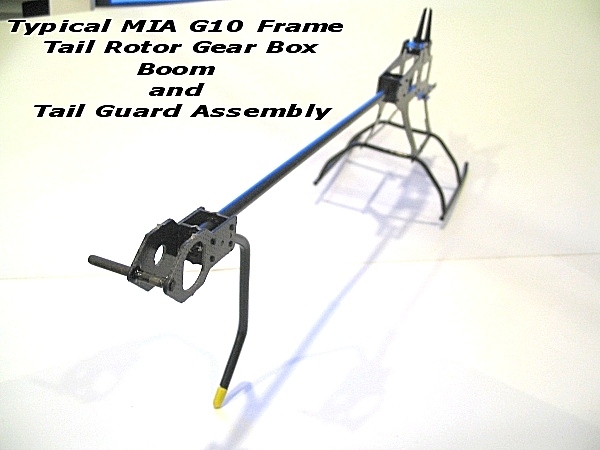 A. MIA kits are made from Computer Numerically Controlled (CNC) machined Fiber-Glass or Carbon sheets, for things such main frames, rotor heads, flex plates, along with stainless steel shafts and molded high strength co-polymer parts, for gears, rotor hubs, motor mounts, swash plate, links, and landing gear, for high strength and durability. Q. Do I need special skills to build and fly ? A. 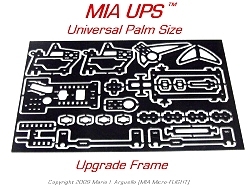 No, if you are familiar with building balsa models and already have some RC model hands on experience, MIA kits will be a breeze. Q. 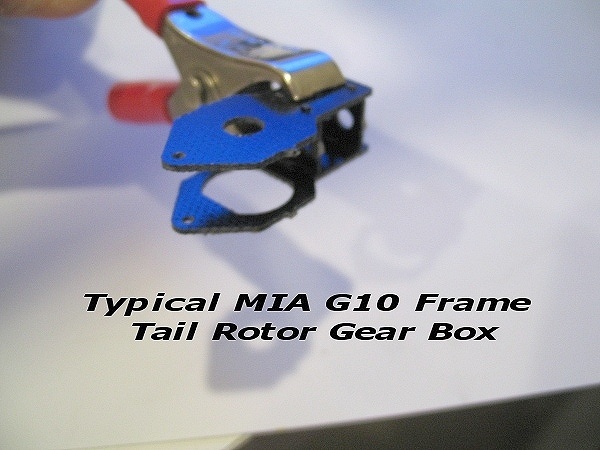 How long does it take to build from a MIA kit ? A. Normally one evening, a few hours, or minutes even, depending on the complexity of the kit. 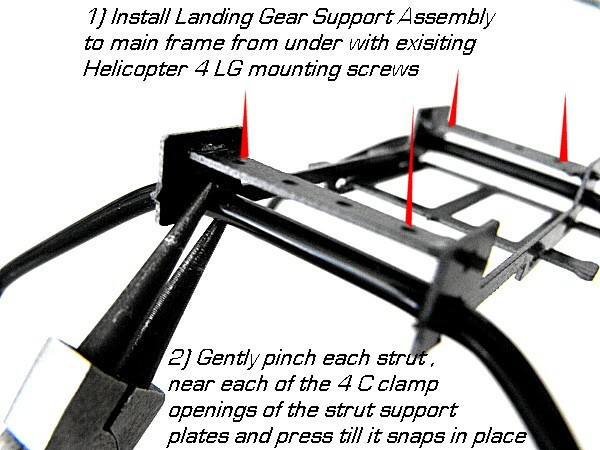 A landing gear kit for Palm-Size helis, for instance, takes about 15 minutes, while a MIA Quicksilver Style RC Ultralight kit can take several hours. Q. 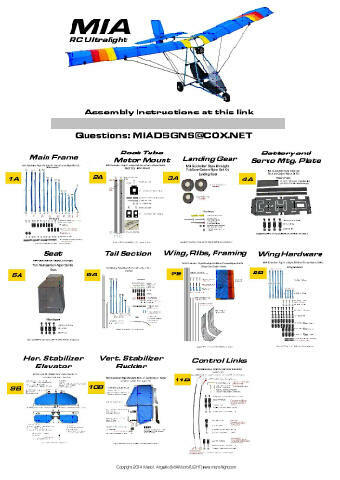 What tools and materials are required to complete a MIA kit ? A. 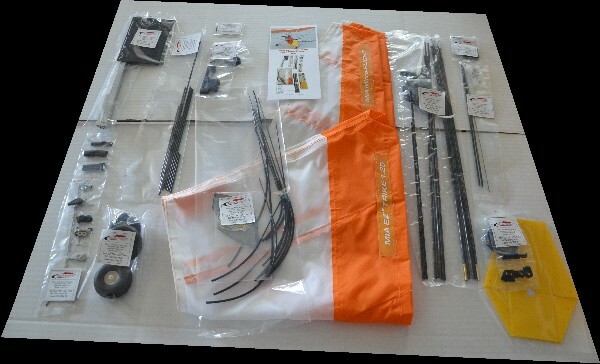 Standard RC hobby tools such as a hobby knife, scissors, mini screw drivers, masking tape, ruler, hex keys. mini socket wrenches, medium viscosity CA glue, and CA glue accelerator spray to help speed up assembly. Q. 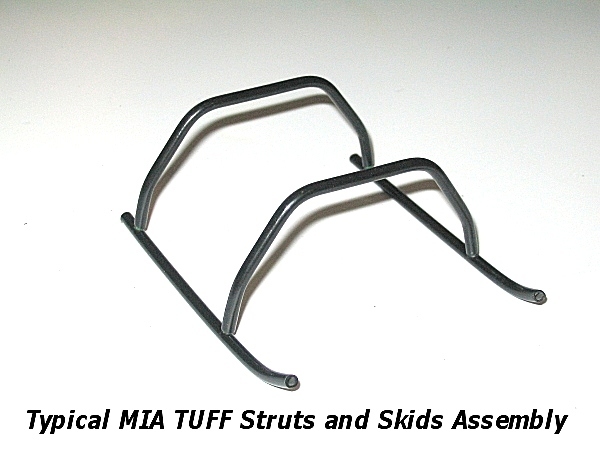 How Durable are MIA Kits and Retrofits ? 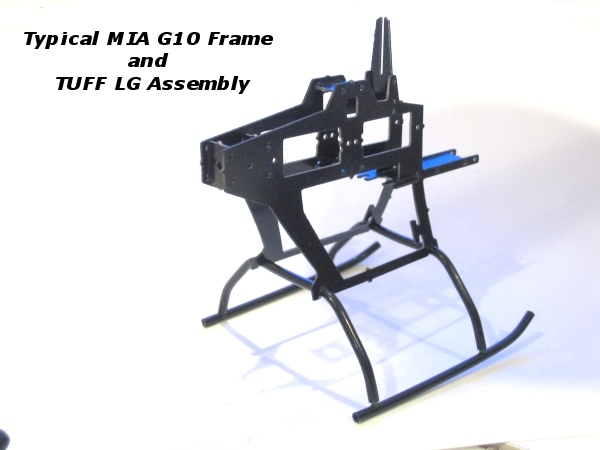 A. MIA Kits are extremely durable, because we use mostly glass and carbon fiber composites, metal and tough co-polymer plastic parts, as required, to make both our kits as well as our retrofit products almost indestructible. All this, combined, allows our products to withstand use and abuse, beyond what similar standard mass-produced products offer. Please read through this area carefully, but also make sure to follow each Kit's dedicated instructions. 1) Inspect the kit contents with the product descriptions and contents information next to the specific product, in our site. 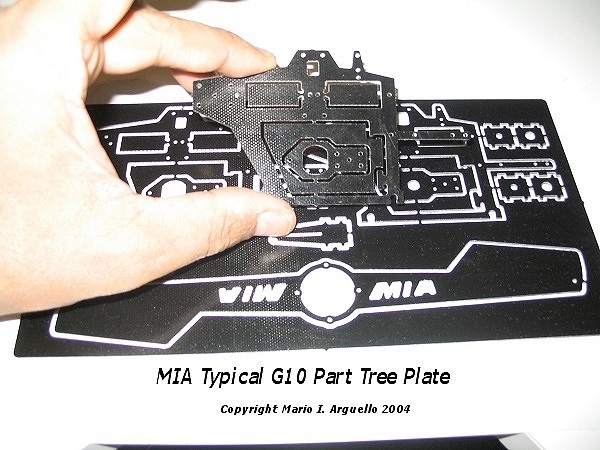 2) Computer Numerically Controlled (CNC) manufactured G10 Fiberglass Parts Trees have small bridges to support the individual kit pieces. These need to be carefully clipped with a small wire cutter, or scored with a hobby knife, or in some cases can be clipped with a small nail clipper or scissors. 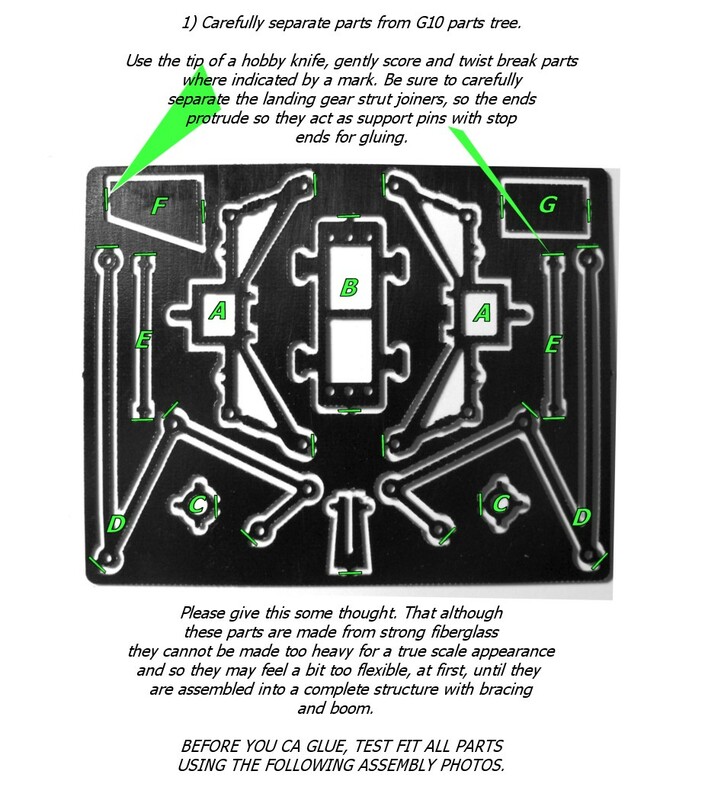 DO NOT break the parts with your hands as some parts come in thin plates, as required for the particular application, and these need to be carefully removed as just described to retain part mechanical integrity. 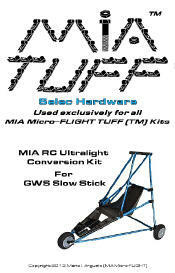 Example from MIA S300 Upgrade Kit for the E-Flite Blade mCX Helicopter. 3) TEST FIT KIT PARTS FIRST! It is highly recommended that you, first!, test fit all the parts to ensure proper alignment and, in particular, orientation for proper product assembly. Because flat fiberglass plate is cut with a router end mill (similar to a round drill bit) it is impossible to obtain a perfect square "inside edge" on a part, where tongue (rectangular) tabs and groove (round hole) assembly is required. The best way to have the parts "sit" or "fit flush" with one another is to slightly "chamfer" or "countersink" the "groove" holes, with a slightly larger than the hole diameter drill bit or "chamfering countersink tool". 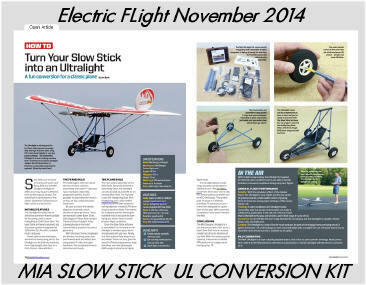 Many times we at MIA Micro-FLIGHT do this already for the user depending on the particular kit. 4) When satisfied with the fit and proper orientation of the Kit parts you can go ahead and glue the joints by spreading a thin bead of CA glue. 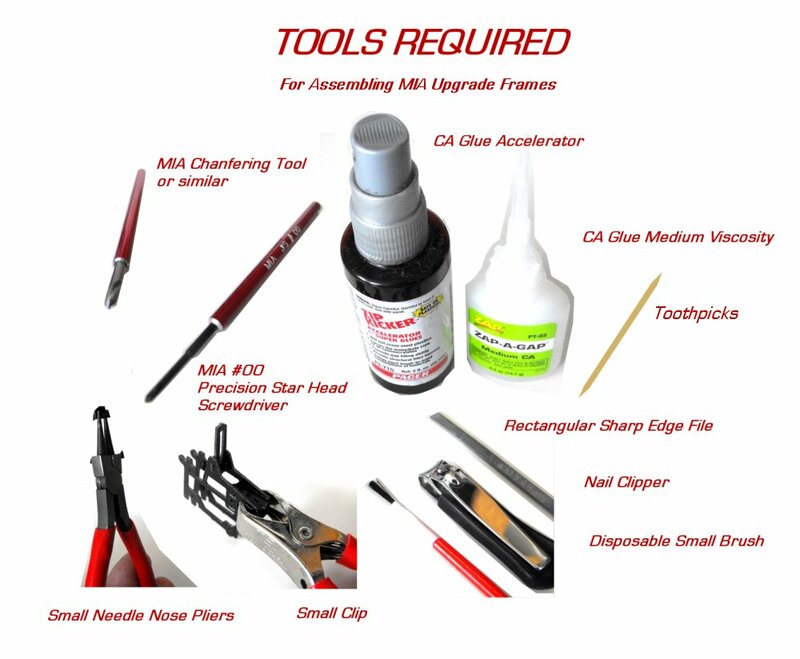 We highly recommend that you use the CA glue and Accelerator brand we offer. The CA bottle has a thin tip and this is ideal for the assembly. Keep in mind that a clogged CA glue bottle tip or one that allows glue to flow too much will render a poor quality joint. 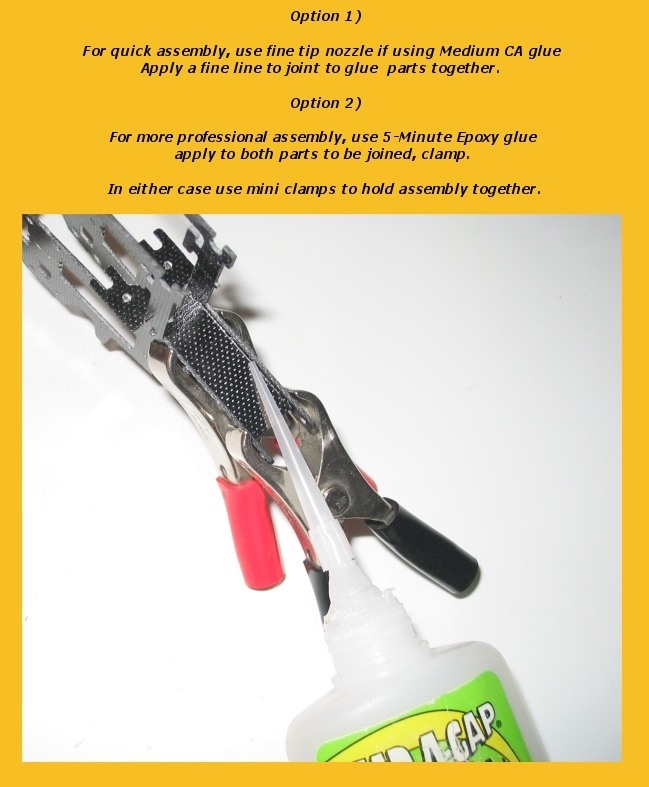 Do not use anything else for gluing unless we specify such in our Kit instructions. 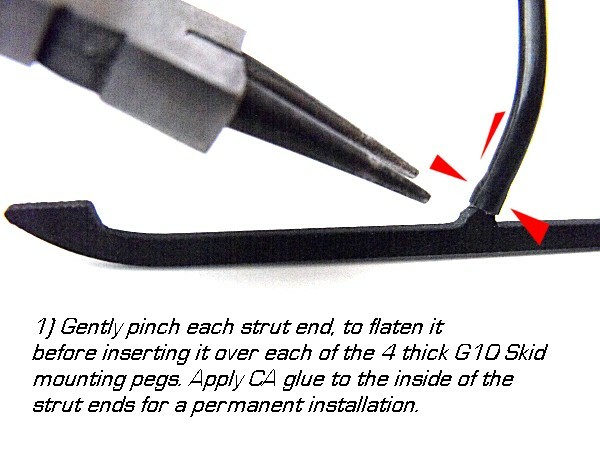 In many cases, a disposable toothpick is ideal to spread the CA glue along an assembly joint cleanly. 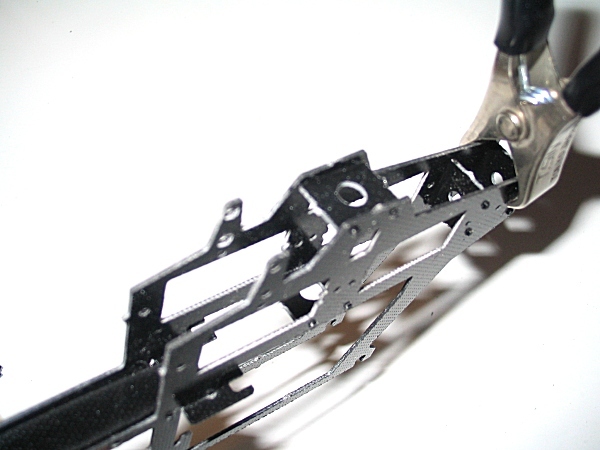 Use small clips to hold parts, while drying, if you do not use an CA accelerator. When using an CA Accelerator spread it on one side of the part to be joined with a small disposable brush or Q-Tip, or even a toothpick. try not to spray onto the part, as this not only wastes accelerator material but it spreads unnecessarily into the atmosphere. Follow CA and Accelerator Manufacturer instructions and use in a well ventilated area. 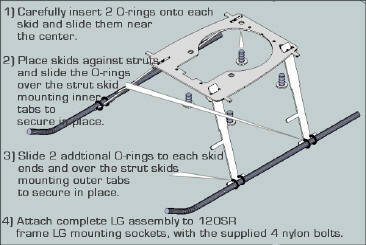 Example photos of typical Kit assembly process.